Many small business owners fail to understand or realize the value in their intellectual property. According to valuation experts, intellectual property (IP) makes 40% to 90% of the total value of some companies. Given this information, it is vital that these assets are well guarded. However, IP is a little murky in the legal realm. If you’re not educated about copyrights, trademarks, and patents, you might be at a huge disadvantage. Make sure to always contact your Creative Business Lawyer to secure your IP assets. They can give you some idea of how complicated this legal landscape can truly be. 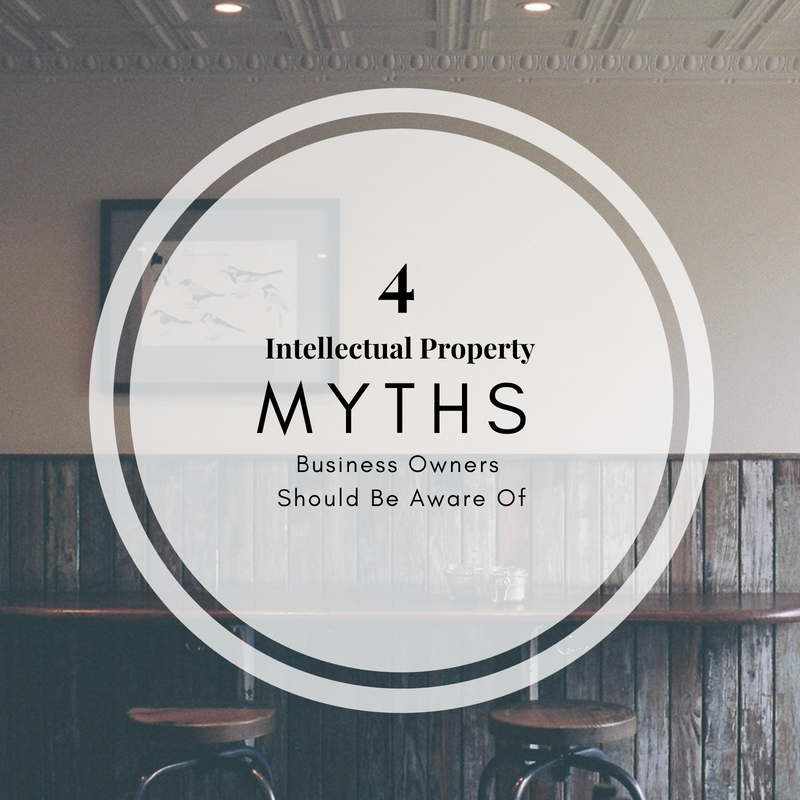 Here are four popular myths about IP protection for business owners to think about. Myth #1: Businesses automatically own the intellectual property created by their staff. You may assume that you own the IP rights to the work your employees and/or independent contractors create while employed by you. Yet, unless you’ve had that individual sign a contract that explicitly states that you own all rights to any IP they create, using what’s called a “work for hire” clause, you may not actually own it. Be sure that all of your employees and/or contractors sign a contract stating that the company owns the rights to everything they create while working for you. If your members have access to any trade secrets, make sure they sign a non-disclosure and non-competition agreement. None, there is no legal registration for trade secrets, so an NDA is the only legal process for keeping your proprietary systems and formulas a secret. Myth #2: Once I get a trademark, my brand is totally safe. A trademark protects your company’s brand name from being counterfeited, but it only protects certain aspects of your work. Trademarks are used to protect a word, phrase, symbol, design, or other distinguishing features that identify your specific product or service. Yet, that protection doesn’t cover everything about your brand. For example, you could own and brick-and-mortar store that sells unique 3-D seascape art that’s called “C-Scapes 2.0” and have a trademark for the business name and logo. Still, someone else could buy the legal rights to the URL “C-Scapes2.0.com” unless you do it first. This is why it is vital to secure all IP rights and domains as soon as you develop the idea. If not, you could be extorted by trademark or patent trolls, who monitor IP registration, waiting for a clueless business owner to put off securing all rights for their company. Myth #3: You can ignore trademark infringement when it doesn’t warrant your time and effort to enforce your rights. Unlike copyright owners, who can pick and choose when to defend their copyrights, trademark holders must make efforts to enforce their trademark or risk losing it. While forcing a business to enforce their trademark sounds kind of harsh, it is designed to ensure that the foundational value of trademarks doesn’t become diluted. Yes, the entire point of having a trademark is to distinguish your company as its source, so allowing a lot of people to use your trademarked logo devalues the protection. And it doesn’t matter who the offender is- a multinational corporation or your 12-year-old nephew, or if they even compete with you, you have to enforce your rights. However, enforcing the trademark doesn’t mean that you have to take the other party to court. There are many ways for enforcing, from a polite cease and desist letter to requiring the offender to pay a nominal licensing fee, so you don’t have to be mean about enforcement. In fact, we typically write letters that inspire resolution as well as ongoing joint venturing to infringers if our clients want it, and we can do that for you! Myth #4: Creating an intellectual-property strategy is not a top priority. With so many things to deal with when starting up a business, it can become a temptation to think that your IP protection is something you can put off. But, this is really a huge mistake. When it comes to IP, you absolutely must file for protection as soon as the idea becomes a reality, or you could lose all of the rights to that idea very quickly. For example, the U.S. patent office recently changed from a “first to invent” to a “first to file” one, so patents are actually now awarded based on who filed first, not who came up with the idea first. As soon as you take the first steps to bring a business or product idea to life you should identify which aspects of your business need IP protection and file for a patent, copyright, or trademark. Of course, you’ve hopefully researched your idea to make sure someone hasn’t already beat you to the punch. Because intellectual property law can be quite complex and confusing, it’s vital that you contact us as your Creative Business Lawyer to ensure all aspects of your IP are safeguarded. We’re well-versed in the latest IP laws and will work with you to develop a comprehensive strategy to protect all of your assets, so you can focus on taking your company and brand to the next level. Contact us today to schedule your FREE Shatterproof Session to see how we can help you to take steps to protect your business tomorrow!